Microvascular anastomosis (or the method of surgically connecting blood vessels) is a common part of many reconstructive and transplant surgical procedures. There are multiple methods for connecting two veins together including coupling devices, surgical glue, and surgical suturing but each method has it’s downsides; coupling devices can face rejection from the body, glue can introduce contamination or clotting to the vein, and suturing (the most commonly accepted practice) is a delicate and time consuming procedure. During the suturing procedure, surgeons are in a race against the clock to quickly connect the veins together to ensure that organs continue to receive proper blood flow. However, blood vessels of differing shapes and sizes can sometimes make this procedure difficult to maneuver in a timely fashion. In their recent paper titled, “3D‐Printed Sugar‐Based Stents Facilitating Vascular Anastomosis”, researchers at Brigham and Women’s Hospital & The University of Nebraska Lincoln collaborated using an Allevi 2 bioprinter to find a solution to aid in the intricacies surrounding this procedure. Here, dissolvable sugar‐based stents are 3D printed as an assistive tool for facilitating surgical anastomosis. The non-brittle sugar‐based stent holds the vessels together during the procedure and are dissolved upon the restoration of the blood flow. The incorporation of sodium citrate minimizes the chance of thrombosis, and the dissolution rate of the sugar‐based stent can be tailored between 4 and 8 min. 3D printing is an ideal method for constructing these stents because you are able to quickly design and create custom geometries to fit the patient’s vessels. The effectiveness of the printed sugar‐based stent was assessed ex vivo and found to be a fast and reliable fabrication method that can be performed in the operating room. This new method of aiding surgeons is a game-changer as it is dissolvable, tunable, and completely customizable. 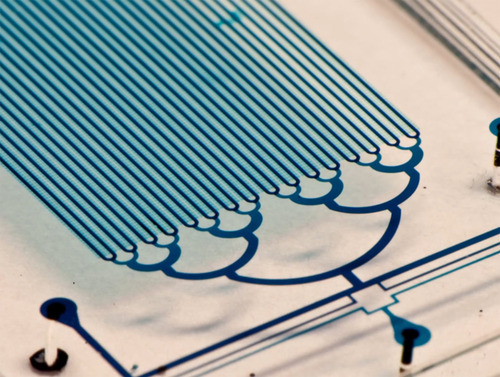 In the future, your doctor could quickly print out stents to match your exact vein geometry which would reduce the time spent on the operating table and under anesthesia. New #AlleviAuthor coming at you! Platelets are a component of blood that play a crucial role in wound healing: they induce clotting! Remember the last time you nicked yourself with a kitchen knife? The platelets in your blood rushed to the site of the wound and coagulated to staunch the bleeding and start the healing process. But platelets don't stop there - they also release growth factors to help repair the tissue which is why it is increasingly common to mix them with plasma for use in treatment of wound care and post operative procedures. 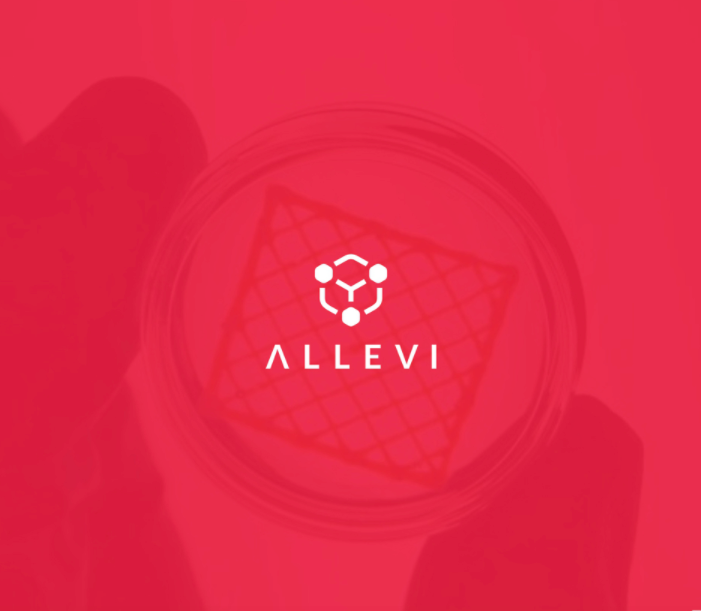 Researchers at MIT, University of Nebraska-Lincoln, and Massachusetts General Hospital used the Allevi #BetaBot to develop a platelet-rich bioink to boost the healing properties of 3D printed tissues and skin grafts. As the field of 3d bioprinting matures, bioinks like this one will be crucial for organ replacement procedures to help with wound healing and tissue regeneration. Their findings were published in Advanced Healthcare Materials. BBC's The One Show recently stopped by Dr. Sam Pashneh-Tala's lab at the University of Sheffield to learn more about tissue engineering and 3D bioprinting. Dr. Pashneh-Tala’s research is focused on developing novel tissue-engineered blood vessels for use in vascular surgery. Current strategies rely on autograft vessels; which are of limited availability, variable quality and are prone to infection and blood clotting. Using tissue engineering and 3d biofabrication techniques, Dr. Pashneh-Tala is developing methods to allow blood vessels of custom geometries to be produced. Dr. Pashneh Tala's research is bringing the future of 3d bioprinted tissues and organs that much closer. We can't wait to see what he will do next.